Since setting up my new web design package, I’ve been one busy girl working on websites for clients! Today I’m excited to take a quick break to show you the finished website for one of my recent clients and also share with you a behind-the-scenes look at my web design process. 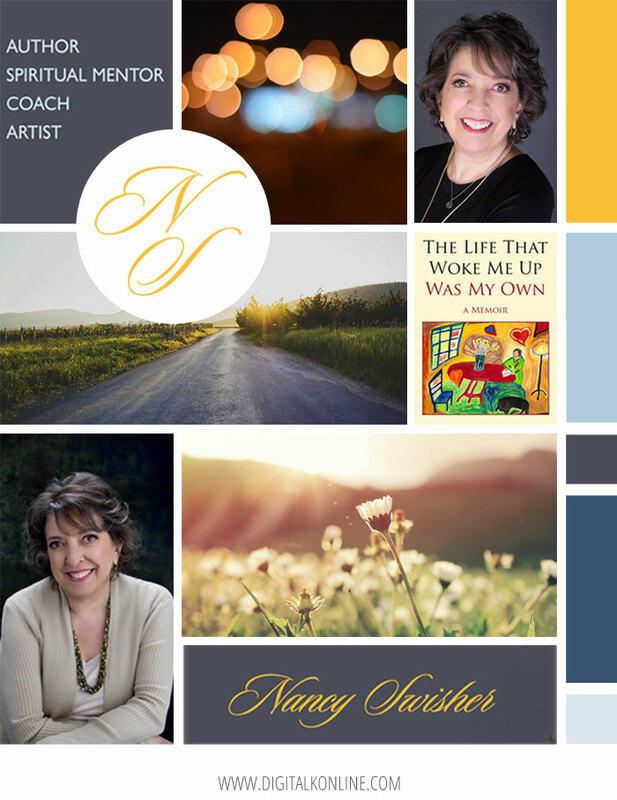 Nancy Swisher is a Transformational Coach, Spiritual Mentor and Artist. 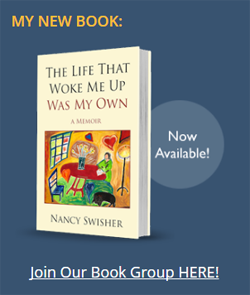 When she first contacted me about a website redesign, she was two months away from the launch of her new book, The Life That Woke Me Up Was My Own: A Memoir. She wanted her new website to focus on the book, in addition to her other programs. When I first start working with a client, we have a conversation about the goals for the website. I don’t want a website to just look good… I also want it to help my clients with their business. Here are the goals we discussed for the new website. 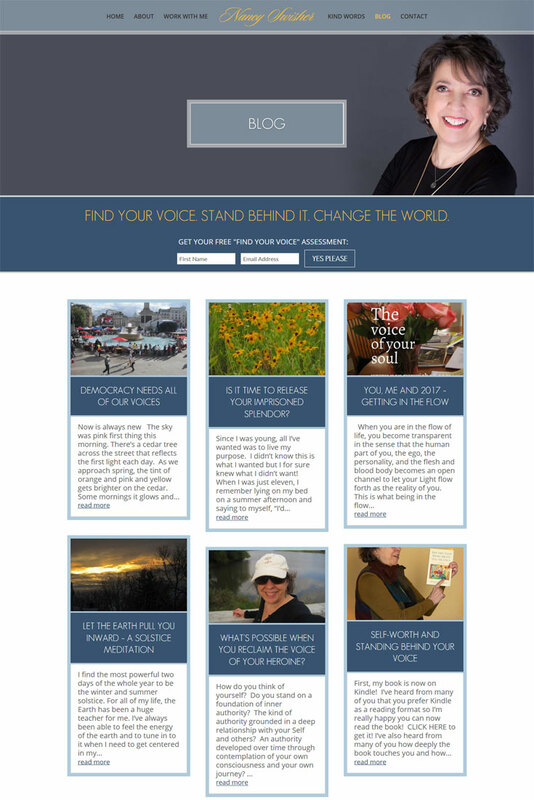 And here’s how we achieved each of those goals with her new website. Nancy wanted an updated, professional design that is responsive on mobile devices. (Smart girl!) 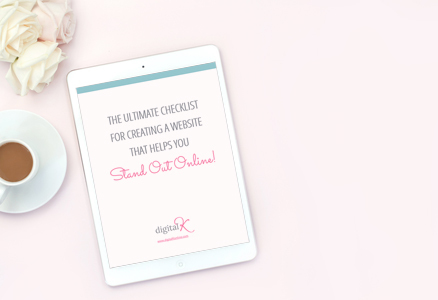 She wasn’t sure of the colors she wanted and didn’t have specific ideas in mind for other design elements on her website… so I was starting with a blank slate. As a designer – this is so much fun! Before I show you the full website, let’s revisit those goals so you can see how the final website all comes together. 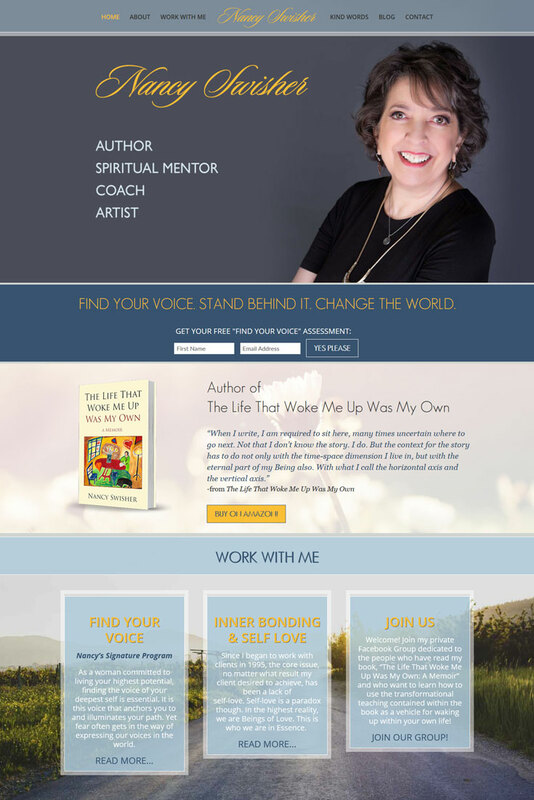 I designed a section on her home page that features her new book. It includes a quote from the book plus a button to purchase the book online. 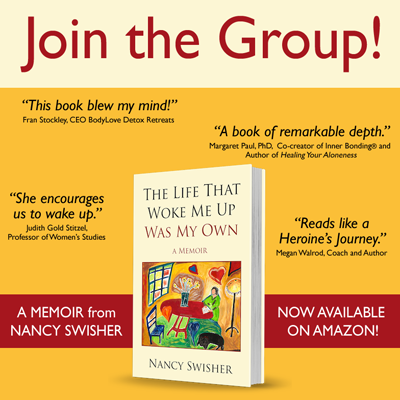 I reorganized the content on her website and Nancy rewrote her copy – in order to be very clear about who she works with and how she helps them with her various programs. I added a “Work with Me” area on her home page that highlights her programs. I also created a new “Work With Me” web page and added that link to her top menu bar. And I created new web pages for each of her programs, so potential clients can choose to read more details about the program they are interested in. Because these offers were repeated in several places throughout her website, I created them as sections of her website that she can easily add to other web pages with a click of a button and she can easily edit the section in one place and it takes effect throughout her website wherever it is used. So if she wants to change the text, an image or even the offer itself, she does it in one spot. Easy peasy! View Nancy’s Full Website here. 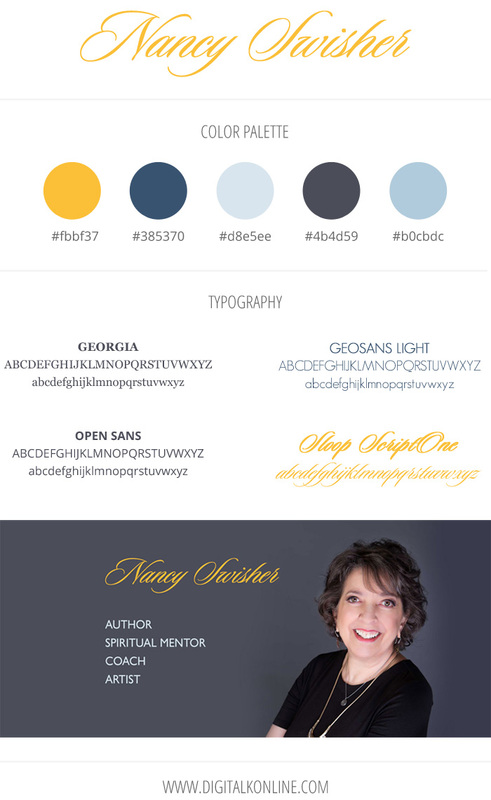 In addition to designing her website, I also designed several graphics for Nancy’s Facebook Page and Group. This was easily one of my favorite projects I have ever worked on. 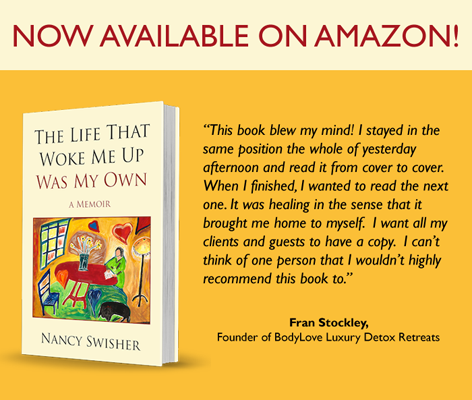 Nancy was a dream client and a breath of fresh air to work with. I really enjoyed working with her on her new website as well as creating the additional graphics she needed. She was organized, prompt with responding, and a truly positive and uplifting person. 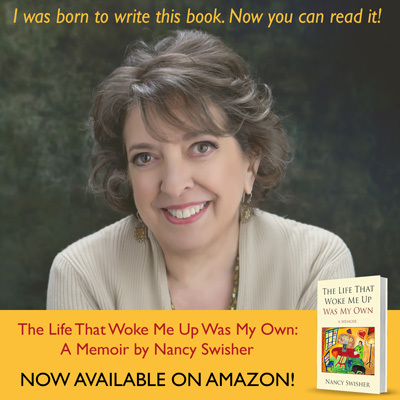 If you haven’t checked out her new website yet, make sure you visit Nancy’s website and get inspired by her writing.